Brazil, the largest producer of coffee in the world is struggling to meet global demand. Drought across the South American country over the past few years has caused a slump in output and continues to affect exports. Espirito Santo, a state in southeastern Brazil is the region’s top grower of the robusta coffee bean, which is low in acidity and very bitter, but there’s been no rain there for months. Prices for robusta, used in instant coffee, are near a four-year high in London amid concerns that supply will drop even further. 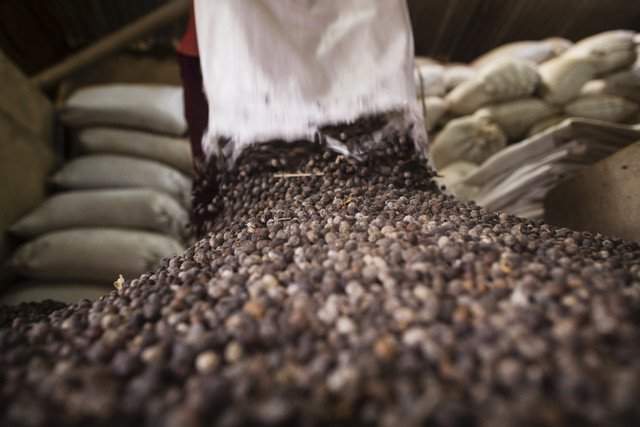 The Brazilian government estimated current volumes of robusta coffee at around 2m bags in February, which processors say is not enough to cover even two months of demand, according to Reuters. Brazilian president Michel Temer recently came close to importing robusta coffee beans from Vietnam, the second largest producer of coffee in the world. However, the proposal has since been abandoned. Famers in Espirito Santo are desperate for new sources of income and have found the answer with a different export — black pepper. Black pepper offers farmers higher returns and needs little water to grow. In 2015, the production of black pepper in Espirito Santo increased by 82.5 percent, with a 50 percent expansion in the harvested area, while coffee’s harvested area fell 0.8 percent, according to official figures. As it stands, Vietnam is the world’s top producer and exporter of black pepper.